The event that was covered by ABC 7 News. Can you spot yourself in our photo gallery? Photos are courtesy of the professional and talented photographers Donna Binbek, Tamara Hijazi, and Svetlana Rehab! We're grateful to have close to 1,000 attendees representing the diversity in Chicagoland and the tri-state area, in terms of ethnicity, age, gender, religion, and profession, including countless allies and partners from other communities! This year professional security was provided by AASI Public Safety, we extend a deep thanks to their dedication to the safety our community. This year, the event was star-studded with many special speakers. We followed a newly-established tradition and added musicians to the lineup; The University of Chicago's Akash Dixit played his sitar with accompaniment by a guitar melody. The inspirational conversation between emcee Dena Takruri and Mahmoud Abdul-Rauf followed a moving call to activism and social commitment by Ahmed Rehab. Altaf Husain put his enthusiasm and humor to work with the fundraiser, mobilizing and entertaining the audience. Congressman Michael Quigley gave a motivating speech civic engagement and praised CAIR-Chicago in their efforts to endorse it. We wish to thank the 81 public officials including both Illinois Senators, a dozen congressmen, Mayor Emanuel, and a record-breaking number of state, city, and county officials who sent us letters of support this year, and those officials who attended our banquet including the consul generals of several countries. This year's banquet was presided over by 50 staff and volunteers who were hard to miss all decked out in their blue and black uniforms! We wish to thank the amazing volunteers who worked incredibly hard to present the community with an evening befitting of its stature. Are you interested in becoming an intern or volunteer? Over 700 interns have graduated from CAIR-Chicago's program since it's inception. Have you seen our 2018 documentary yet? What does resistance mean to you? 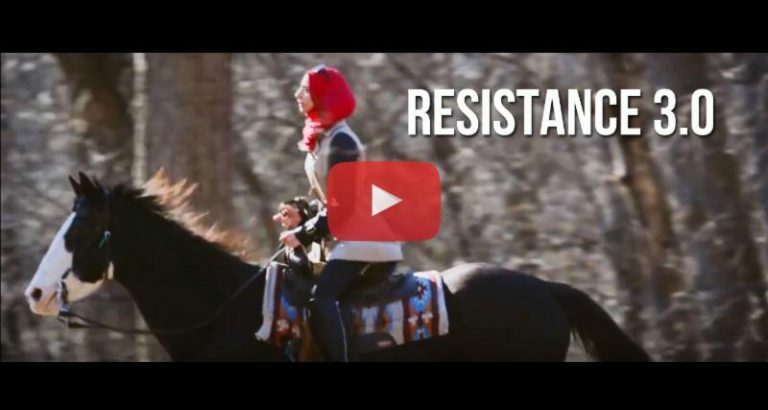 CAIR-Chicago's 2018 documentary works to explore the organization's resistance efforts both outside and from within our office. It was filmed and directed by Akram Shibly of True Intent Productions, a young Syrian-American filmmaker, and storyteller. Be sure to like his page! We were significantly short of our fundraising goal, please help us get closer by donating here. Our faith and confidence is steadfast. With your support, we believe we will get there. It was touching to see the names and organizations on our pledge list - those who never falter in heeding the call even in tough times. CAIR-Chicago is dependent on the support of our mosques, partner organizations and the community to continue our work in civil rights advocacy and, unfortunately, we fell short of our fundraising goal. Please help us meet our goal by donating online today. Our official 2017 Annual Report is here! This 68-page report details the work of each department at CAIR-Chicago and some of our highlights and accomplishments over the past twelve months. We wish to thank you all once again. Our work could not succeed without your support. You came in large numbers as a strong, united community. You made our 14th Annual Banquet a memorable one. Thanks for all of you who wanted to come but could not and supported us via our online donation page. Photos were taken by Donna Binbek, Svetlana Rehab, and Tamara Hijazi.